I’ve been doing a lot of browsing and product searches to see what the cosmetics and skincare manufacturers out there have on offer. When it comes to coffee products, the only thing is a scrub. Scrubs are great, but why limit yourself to the detoxifying and cellulite removal benefits to once or twice a week (when you remember to scrub of course). Plus scrubs in general are hard and really abrasive so at what point during your sloughing process does the properties of the green coffee bean oil actually penetrate the skin? My Skincare’s Coffee Cellulite scrub is not designed like others. It is soft and nourishing and not incredibly abrasive. Best used on dry skin before a shower or bath. Or better yet use it after your bath or shower once you have dried off. The lotion component of the scrub is incredibly moist and allows for free movement of your hands to scrub to your hearts content. After a while the lotion all absorbs into your skin leaving it incredibly soft and supple and you can just dust off the apricot kernels (or rinse them off in the bath or shower if you do it prior washing yourself). To me however, it is more like a fancy spa treatment if you use it afterwards because your skin feels insanely soft and supple, and why would anyone want to wash that off?!?!? 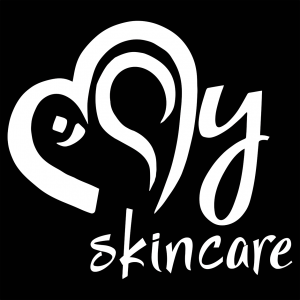 The purpose for this blog post is to inform the My Skincare Coterie followers about a new product coming out very soon. We are going with the Gold again, like we did for the Coffee Scrub. Behold the Gold Elite range of products on offer!! This time with a Mousse, made wholly and solely from organic oils, again using Coffee Bean oil as the main carrier oil. Yes ladies, you got that right, cellulite treatment daily! Best-Booty product money can buy. But other than the fact that this mousse will be as soft, fluffy and luxurious as the rest of the products, I’ll go into detail about some of the other oils featured that you may not be familiar with. As with the scrub, we have added organic Sacha Inchi Oil. Native to Peru (a travel destination high up on my bucket list!) with an incredibly high Omega content, contains Vitamin A and E. This means it has the ability to repair and heal the elasticity in your skin allowing for better moisture content and retention making your skin look younger (yes, anti-ageing). It helps sooth dry irritated skin (for all those eczema sufferers). Organic Shea butter from Ghana which is healing and softening and helps your skin naturally produce collagen (keeps that youthful look) while helping with inflammation and sensitivity and scar tissue repair and also contains vitamins K, E and F.
Introducing Organic Mafura butter! An African beauty which is similar to Shea butter and rich in oleic, linoleic, stearic and palmitic acid. It is anti-inflammatory, healing and traditionally used to reduce pain associated with rheumatism. Mafura butter is easily absorbed by the skin and helps maintain hydration. Ever heard of Organic Broccoli Seed Oil? Yep, now you have. We all know how good broccoli is for you, but did you know the oil has the same benefits but for your skin? A powerhouse of goodness! HUGE anti-oxidant properties, light and non-greasy and increases your skins ability to protect itself. It is one of the few oils that contain natural silicone which give skin and hair shine (yes we’ll be adding this to our shampoo and conditioner when we get there). The beauty scene is so hyped about Retinol and its marvellous anti-ageing benefits… Broccoli seed oil contains natural, non-synthesized, unadulterated retinol. (yep, in our face cream too which is soon to be released). Instead of harping on about how marvellous this oil is, let me move onto the next one and you can go some of your own research should you be so inclined. Organic Argan oil is already quite popular. Enriched with vitamins A, E (alpha-tocopherol) and F. It greatly improves skin elasticity, is healing and contains nourishing Omegas 3, 6 &9. Organic Baobab oil, another local African beauty. Rich in omegas, vitamins A, D, E and F.
Organic Evening Primrose oil which is renowned for its vitamin E content which helps heal your skin and nourish it deeply while also reducing inflammation and adding more omega content to our already densely nutrient (and yet so fluffy!) mousse. And then finally, but not least appreciated, Organic Coconut oil just to round off the awesomeness. We’ll leave this post at that. No more details are to be divulged just yet. Watch this space for the release of our premium Mousse, hence forth to be referred to as ‘My Organic Coffee Mousse’.